Fortune 100 companies use the Delphix Dynamic Data Platform to connect, virtualize, secure and manage data in the cloud and in on-premise environments. Visit www.delphix.com. Learn how to replicate data from Amazon Web Services (AWS) into Microsoft Azure, and also from Azure to AWS. Hey everyone! I’m back in the “demonstration saddle” again to showcase how easy it is to replicate data from one cloud to another. Data friction abounds, and there are few places that feel as much data friction as cloud migration projects. Getting data into the cloud can be a challenge, and adding security concerns can make it seem almost impossible. DataOps practices can ensure that data friction doesn’t prevent you from leveraging the cloud. I recorded this video to demonstrate how the Delphix Dynamic Data Platform (DDP) works across the five facets of DataOps (governance, operations, delivery, transformation, and version control) to make migrations "friction free." 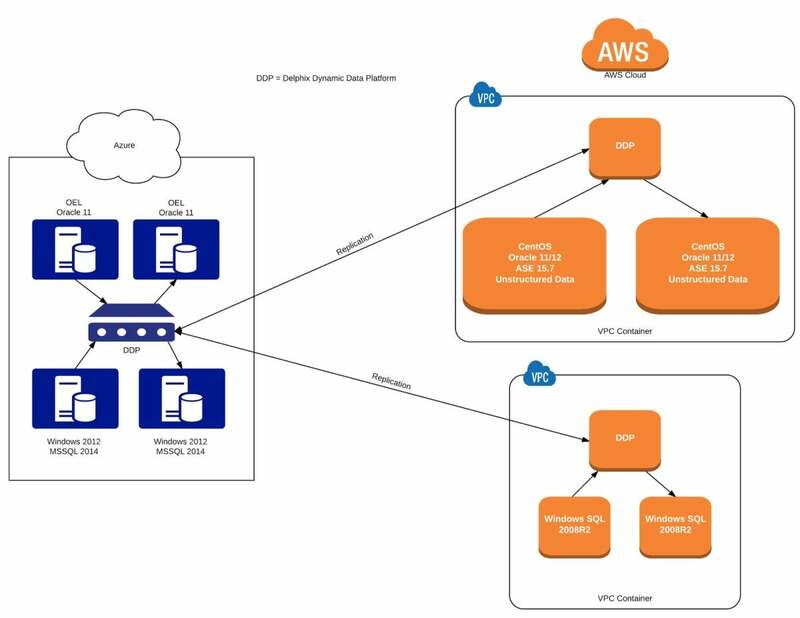 In this presentation, you will see me replicate data from Amazon Web Services (AWS) into Microsoft Azure, and also from Azure to AWS. Since the actual steps to replicate are very few and only take a matter of seconds, I spend most of my time explaining some of the different aspects of the DDP. I also highlight how to leverage the DDP’s Selective Data Distribution which only replicates data that has been sanitized as a part of an approved and automated masking process. In the video’s conclusion, I demonstrate how to create a copy of the masked virtual database (VDB) and show how quickly you can do a destructive test and recover.